I thought this was pretty wow. 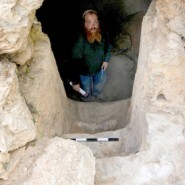 Archeologists recently discovered a 2nd Temple Period mikveh in Jerusalem. Such a powerful reminder that when we go to the mikveh we are doing something that our grandmothers and grandmothers’ grandmothers did as well, for thousands of years back to Temple times and beyond.